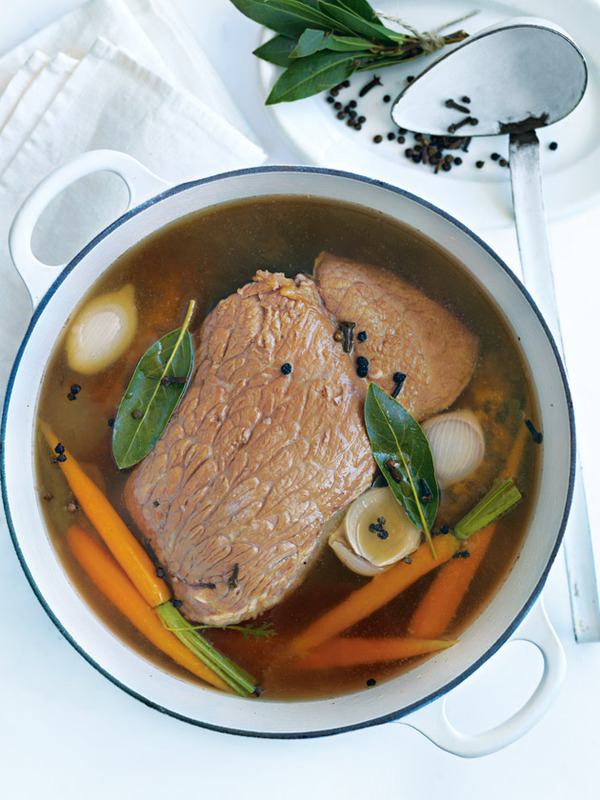 Place the beef in a large, heavy-based deep saucepan. Add the bay leaves, peppercorns, cloves, vinegar, sugar, onions and enough water to cover. Place over high heat and bring to the boil. Reduce the heat to low, cover and simmer for 1 hour 30 minutes or when the beef is firm to the touch. Add the carrots in the last 5 minutes of cooking. Use a slotted spoon to occasionally skim the foam from the surface. Serves 6. Excellent recipe! A tad sweet (or not as salty as expected) Will try with half the sugar next time.